Superdry women’s Olivia crew jumper. A super soft jumper featuring a ribbed neckline, cuffs and hem, a large Superdry logo graphic across the chest with a soft touch flock feel and duo stripes on the arms with a cracked finish. 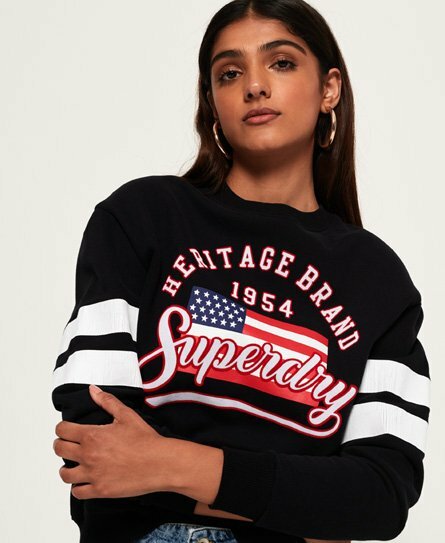 This must have jumper is finished with a Superdry logo badge just above the hem.